Here’s how to configure GPRS, MMS, and 3G internet settings on your network using Android Phone. 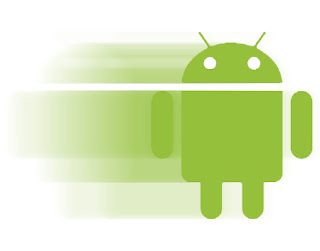 Android is most popular OS used on mobile brand like Samsung, HTC, Sony, LG, Motorola, Panasonic, Asus, Amazon, Acer and to our local manufactures like Cherry Mobile, MyPhone, DTC, Cloudfone, Torque, Starmobile, O+ plus. Steps provided below for manual configuration of your network settings to access mobile internet or send multimedia messages. You may continue reading more after the jump break. 16. Select PAP on Authentication type. 17. On APN type, choose Internet if you are creating APN for browsing, select MMS if you creating an MMS APN. 19. Press the Menu key then Save. Steps may slightly differ on steps above depending on you phone and network. Just input the basic network details needed on your network correctly and it will work for you. If you want to configure your network settings you may read this post, just follow above steps and key in the right data on each field depending on your mobile network or SIM. Note that this is post created to help beginners. I am a Globe/TM user and my network doesn't require any proxy or port in my android phone. Thanks! my sun gprs is activated, but when i try to connect nothing happens..the box with the upload and download arrows does not appear as it does when i'm using globe ... any solution? Is your phone dual sim? matagal po bang mag send talaga pag MMS? Samsung s1 po yung akin Globe.? may E po sa taas na lumabas pag tapos ko po i check yung packet data. my globe gprs want to activate.. i follow this setting but still not work my phone is xperia j.. .. any idea how it works? can you pls help me!??? Check your data connections, make sure that it is ON by selecting the SIM whereyour APN is created since it's Dual po...Settings>More Settings>Mobile networks>Data Connection,, it somewhere there... hope it helps..
im using samsung anycall but still it is an android phone, i tried to follow the steps but its doesnt work. i'm using a myphone a848i duo and followed the steps, yet still no connection.. help please! i'm a sun cellular carrier, thanks! still didn't work, kaka frustrate haha! :/ whenever i tried opening or activating the data connection the sun signal switches itself off, no gprs or 3g icons comes out too, as i suppose there should be an E or an H icon over the signal bar.. the sim card has a menu wherein you can get gprs settings, i tried requesting for the settings but never came, tried the SETTINGS & ACTIVATE to 2300 but the msg i recieved said that my internet settings couldnt be sent to my phone right now..
its useless.. still not working! hi. im using LG optimus LTE L-01D. i've tried the steps. i wont work. my gprs is already activated. hEELLLPP!! thanks! it pretty much worked for me. may lumabas ng 3G / H sa status bar. e kaso lang d pa rin mkakonek sa smart site. anyway i have Samsung galaxy 5. it helped a lot. thanks! how to activate 3G in voice extrme v20 in Pakistan. Put a Bomb in ur A$$ and then detonate it.. Than BAmmm.. BOOM PANES! Yung akin Torque tab and i'm using globe sim. I tried to text GO sa 2951 pero hindi nagsesend kahit may load ako. Tapos pag on ko yung data network laging E lang lumalabas at hindi nag H. Pano ko kaya maayos to?